Hong Kong was not a healthy place in the late 19th century. For decades after the British founded the colony in 1842, the Chinese settlement of Sheung Wan struggled with overcrowding and chronic disease. Things were especially bad in Tai Ping Shan, a hillside enclave of tenement houses packed with recent arrivals from mainland China. In 1881, the colonial government hired Oswald Chadwick, a British engineer, to conduct a survey of the district’s homes. He was alarmed by what he found. In some buildings, 80 tenants crammed into a single flat. People shared space with chickens and pigs. Drains were built haphazardly, so they clogged and became septic, toxic sludge leaking into the surrounding soil. By contrast, the homes in Hong Kong’s European districts were well-equipped with water closets attached to municipal drains. Such luxuries were not afforded to the fast-growing Chinese population, which was limited to cramped quarters like Tai Ping Shan because land use laws prohibited the expansion of tenement housing – a strategy used by the colonial government to keep the European and Chinese populations apart. Public facilities were non-existent. Entrepreneurs took advantage of the situation by building public latrines—just 25 for a population of more than 100,000—from which they made a hefty profit by selling human excrement as fertilizer. “On the whole the existing latrines are offensive and a nuisance, both as to position and construction, and they are so crowded as to render improvements as to maintenance very difficult,” wrote Chadwick. Until then, nobody had made a direct link between Hong Kong’s filth and any outbreak of disease, but Chadwick warned that an epidemic of some sort was inevitable. “He predicted that if there was an outbreak, it would be a disaster because sanitation was so bad,” says Lau Kwok-wai, executive director of the Conservancy Association Centre for Heritage, which specializes in the history of Western District. He was right. In 1894, an outbreak of bubonic plague killed more than 3,000 people in Tai Ping Shan. In response, the government demolished the entire neighbourhood and rebuilt it on a grid of streets surrounding Blake Garden, Hong Kong’s first public park. In 1904, it opened Hong Kong’s first public toilet and bathhouse on Pound Lane, with space for 28 men and 10 women. Hong Kong was not unique in building a network of public toilets and bathhouses. By 1915, most British towns had at least one bathhouse. 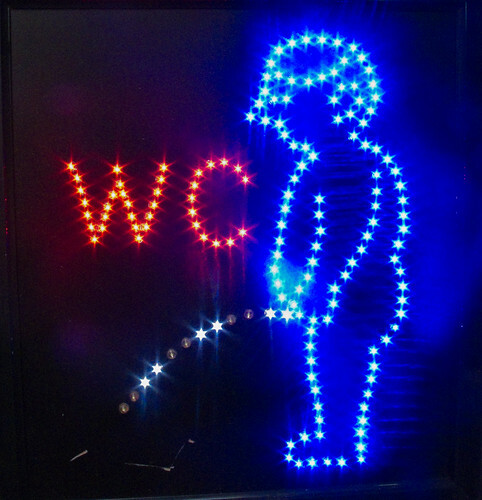 New York was notorious for its lack of public toilets; Henry Miller once wrote, “I know that I am in distress when I walk the streets of New York. Wondering constantly where the next stop will be and if I can hold out that long.” But it too invested in public facilities, opening 1,821 new toilets in parks and subway stations in the 1930s alone. Where Hong Kong stands apart is in the way it has maintained and expanded its network of free, government-operated public toilets. Today, there are 1,606 toilets in Hong Kong’s streets and parks, not including those operated by the MTR, shopping malls and privately-operated wet markets. By contrast, New York has largely dismantled its network of public toilets, converting many of them into storage spaces, if they weren’t simply sealed off and abandoned. Lo Wing-lok, president of the Hong Kong Toilet Association, describes them in even more grandiose terms: “It gives a first impression to people – how affluent and civilized a community is,” he told HK Magazine. At the height of its power, ancient Rome was renowned for its affordable public toilets and bathhouses. When money is short, though, public toilets are usually the first amenity to be flushed away. New York began scaling back its network of public toilets in the 1970s, when the city teetered on the brink of bankruptcy and crime and vandalism surged. The same thing happened in many other cities, which cut public toilet services in tough times and never bothered to restore them. That’s certainly true in Hong Kong, where commercial property developers go out of their way to make toilets as small as possible in order to maximize shop space. Last May, the Hong Kong Toilet Association drew attention to a toilet in the newly-opened Celestial Heights mall in Ho Man Tin, where the men’s room is half the size specified in the building plans. Eight urinals are crammed into a space just 2.5 square metres in area; the urinals are so close together that men’s backs would touch if two of them were to use urinals on opposite walls. Another problem inherent in privately-run toilets is the chronic lack of space for women, who take twice as long to use the toilet as men and who therefore need a greater number of stalls. In Hong Kong’s shopping malls, it’s common for men to breeze past long lines of women waiting for their turn to relieve themselves. According to a study by the Development Bureau, 88 percent of Hong Kong men say they never need to queue for the toilet, compared to just 44 percent of women. The bureau says it plans to mandate a new ratio of 1.5 female toilets for every male toilet, though it could take years for the new policy to have an effect, since existing buildings will not be affected until they undergo a major renovation. Still, compared to most cities, Hong Kong is well ahead of the porcelain curve. 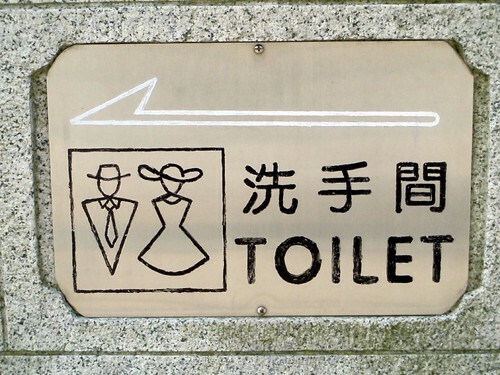 Over the past 10 years, Hong Kong has doubled its number of public toilets. The government has even gone so far as to open what Lo Wing-lok calls “five-star toilets” at tourist sites like the Lam Tsuen Wishing Tree, where HK$2.8 million was spent to build a toilet that resembles a historic villa, with live orchids inside and an auspicious Buddhist pine outside the front door. In fact, the government has been criticized for spending too much on Hong Kong’s public toilets. Another landmark toilet overlooking the Tsing Ma Bridge cost nearly HK$10 million, thanks to features like a waiting lounge in the women’s room and piped-in classical music. More than HK$110 million has been spent on renovating public toilets over the past four years. 40 percent of toilets are staffed by attendants, most of whom work for private contractors; the FEHD could not provide any details on operating costs and whether these have risen since the minimum wage law was passed last year. This entry was written by Christopher DeWolf , posted on Monday September 03 2012at 06:09 am , filed under Asia Pacific, Heritage and Preservation, History, Interior Space, Public Space, Society and Culture and tagged Hong Kong, Public Toilets, Urban Design . Bookmark the permalink . Post a comment below or leave a trackback: Trackback URL.